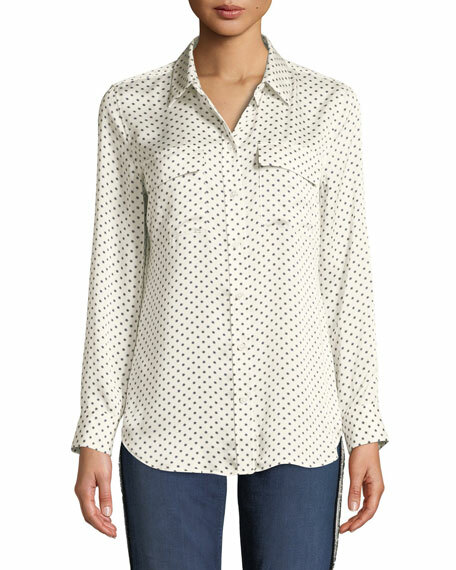 Michael Kors shirt in crushed silk georgette. 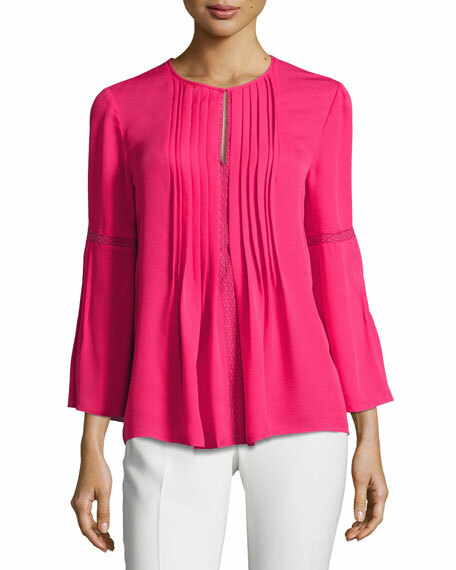 "Orion" pleated silk georgette blouse by Elie Tahari features lace trim. Jewel neckline; keyhole front. Three-quarter bell sleeves. Box pleats at back yoke. Relaxed silhouette. Slipover style. Dry clean. Imported. 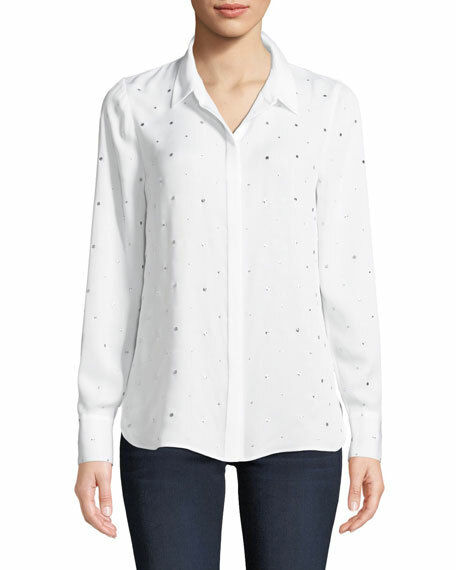 Kobi Halperin "Shaelyn" silk blouse with scattered dots. Spread collar; hidden button front. Long sleeves; button cuffs. Inverted box pleat at back. Relaxed silhouette. Vented sides. Shirttail hem. Silk; dry clean. Imported. 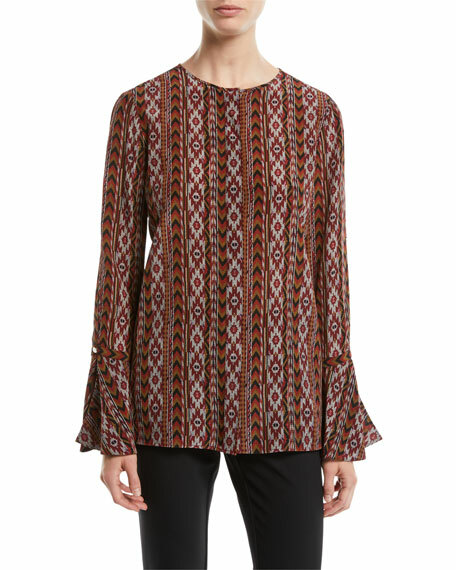 Lafayette 148 New York kilim-print silk "Izzie" blouse. Jewel neckline; button front. Long bell sleeves; button cuffs. Yoked back shoulders. Relaxed silhouette. Below-hip length. Silk self; dry clean. Imported of Italian material.